I know that you have many choices of vendors and products. 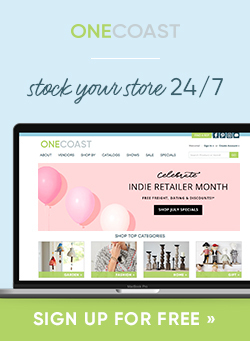 I am so grateful that you choose to buy from OneCoast and our vendor partners. 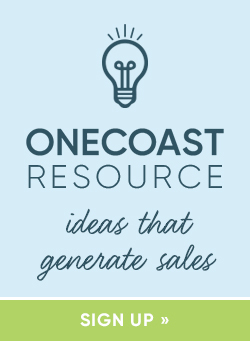 As we enter 2015, I am excited to tell you that OneCoast will be offering the strongest line package in many years! The focus will be on gift, garden, fashion, fragrance and home accessories with some of the best vendors in the industry. We continue to work hard to provide you with a well-trained and professional sales organization, and outstanding showroom experiences in Atlanta, Dallas, and Las Vegas. If you attend one of our shows, please ask someone to find me. I would love to say “hello” in person. I wish continued success and prosperity in 2015. Share the post "Thank You for Your Business!"